Recently Capital Grille invited myself and some other food bloggers to their Pointe Orlando restaurant to try a wine promotion they're doing call the generous pour. The dishes we sampled were impressive. Lobster mac & cheese and Kona coffee rubbed aged steak. Later in the meal we were visited by the chef and he explained how a few of the dishes were made. 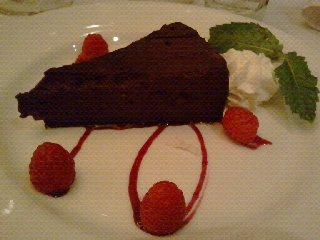 The dessert was a flourless chocolate espresso cake, really dense and delicious. The cake was paired with a sweet port that I really enjoyed. Service and staff were great. 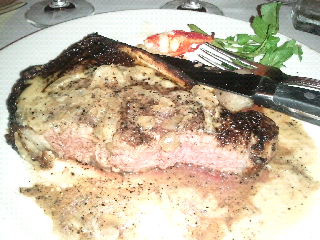 Capital Grille is owned by Darden a large restaurant corporation based in Orlando.